Swatkins Silverware are proud to present this high quality traditional Wooden Shield. 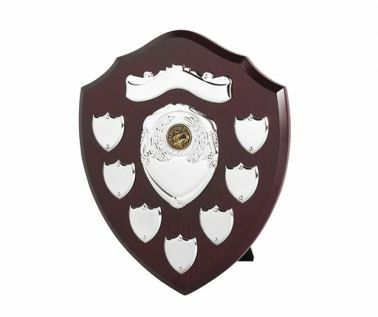 This imposing shield comes complete with a support strut allowing it to be displayed free standing. 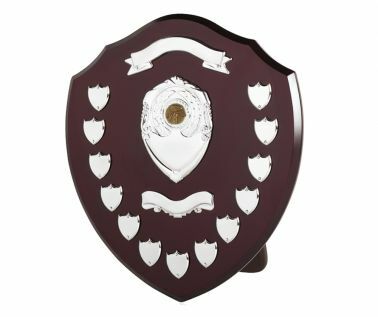 The shield features an attractive top scroll and at its centre a beautifully decorated centrepiece which takes any one of our 27 shield one inch centres. These centres cover a wide spectrum of popular sports. If however the sport of you choice is not listed, the Victory or Plain centre, would make a suitable substitute. 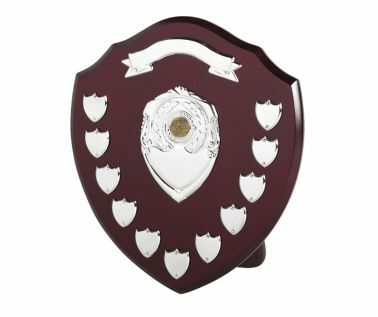 This shield would compliment any club house and give many years of faithful service. The "Top Scroll" - Suitable for name or date of the event. The "Centre Shield" - Suitable for event details. 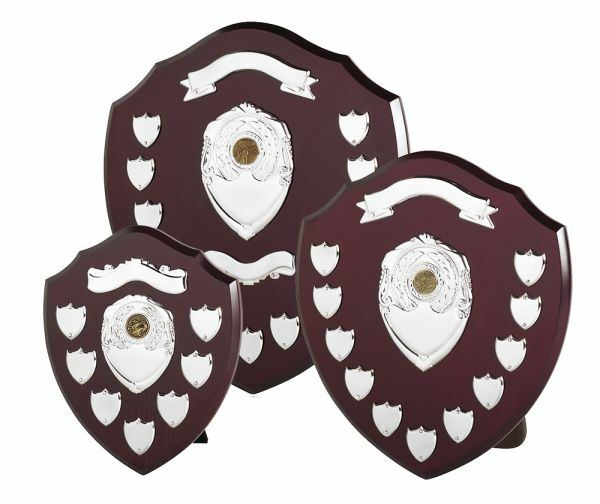 The "Perpetual Shields" - minimum of 7 small shields suitable for winners names.